The iPad is a confusing device. Sales figures suggest there’s no energy for the platform, yet Apple is pushing forward with tablets. Part of the confusion is brand identity, and it’s about time Apple tighten its naming scheme. There are three sizes of iPad for sale right now: a 7.9-inch mini, the 9.7-inch Air (and Pro) and a 12.9-inch Pro. There are also three names: mini, Air and Pro. It gets a bit confusing through the lineup, though. A ‘Pro’ could be one of two tablets, and there’s a mini 4 and mini 2 listed on Apple’s site, but you can buy a mini 3 elsewhere. Don’t feel bad if you’re confused; it’s a lot to take in, and that’s really the problem Apple has created. An easy, recognizable fix is right in front of us: the iPhone. 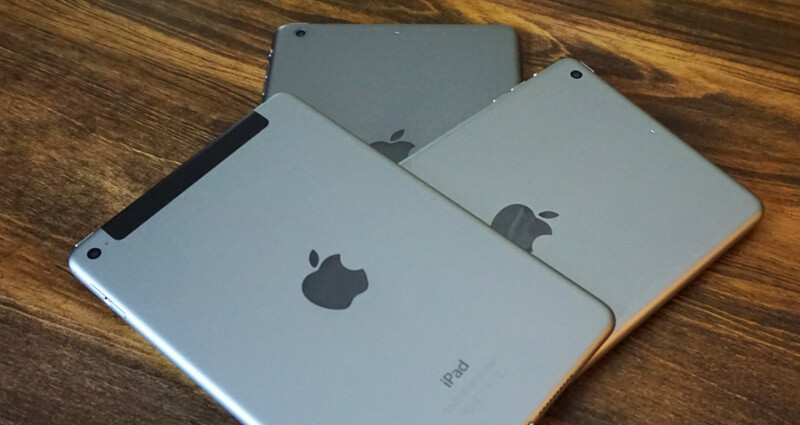 The iPad mini could be the iPad SE. It could have all the same specs as the 9.7-inch iPad, but a smaller screen at a reduced price point. Further, Apple should call the 9.7-inch iPad Pro the ‘iPad Plus,’ and saddle the larger iPad Pro with an ‘XL’ tag, making it an ‘iPad Pro XL.’ All iPads should keep a numbering scheme like the iPhone, too, even though that means pulling a Microsoft and skipping ahead. Keeping with the iPhone naming scheme, it’s still not quite as clean as the iPhone lineup, but the iPad has a fourth device so it really never will be. Still, I think mimicking the iPhone naming scheme for the iPad lineup streamlines things quite a bit. You’d have an SE, iPad and Pro — with a very slight margin of Pro XL users. It’s clear Apple isn’t giving up on any of its hardware any time soon, but I don’t see a reason to have so many different names floating around the ecosystem. If it wanted to get really nuts, Apple could also make the Mac Mini the SE, drop the Air and continue the iPhone-y naming scheme throughout the Mac lineup (MacBook and MacBook Pro) — save for that pesky iMac, which could even be the XL.